There is “no realistic prospect” of the government meeting its own deadline to install smart meters, according to the National Audit Office (NAO). The public accounts watchdog has joined a chorus of voices – including a group of MPs and Citizens Advice – which say the target is impossible to reach. Every home in Britain is supposed to have a smart meter – which avoids the need for customer readings – by 2020. However the government has insisted that it will meet its commitment. The NAO also said that nearly one million smart meters are no longer working properly, and that the coldest parts of Britain have the fewest meters. To meet the deadline, installers will need to replace 39 million old meters within the next two years, according to the NAO. In comparison, just 12 million meters have been replaced over the last six years. Earlier this week the consumer group Which? said that the industry would need to install 30 meters every minute over the next two years to meet the target. It is currently installing fewer than ten, it said. The government said that 400,000 meters were being installed every month, and the target was achievable. “Millions have already chosen to have a smart meter and take control of their energy use to cut their bills,” said energy minister Claire Perry. Energy UK, which represents the firms installing the meters, told the BBC it would not speculate on the feasibility of hitting the deadline. Why are smart meters so important? They also enable consumers to use cheaper tariffs, by using power in the evening or on week-ends. Four years ago the Department for Business, Energy and Industrial Strategy estimated that they would save consumers about £26 a year. However, the NAO says the increasing cost of installing them will now save consumers less than £11 annually. That follows a similar estimate made by a group of MPs in the summer. In any case, the NAO says the government is failing to monitor what savings households are actually making. How many have stopped working? The first generation of smart meters do not necessarily continue working if a customer switches supplier. About 70% of them “go dumb”, according to the NAO. The second generation is designed to be more flexible, but only 109,000 such meters have been installed. The NAO says 943,000 first generation meters have now stopped working to their full capacity, because of a change of supplier. What other problems does the NAO highlight? 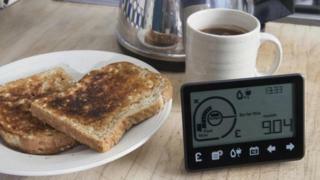 The NAO says the functionality of smart meters still needs improvement. It says they don’t work in homes with thick walls, for example, which can block the mobile phone signals needed to transmit their data. And it says the coldest parts of the country are the least likely to have a smart meter installed, even though the need in such regions is greater. In Scotland and the north of England just 3,000 second generation meters had been installed by June, compared to 106,000 in the rest of Britain.